Give your truck or SUV high-end styling with a set of Ionic brite Gladiator running boards. They offer a sleek, top-end style and provide safe, secure entry or exit from your vehicle. Gladiator running boards are made from double-walled aluminum, making them very sturdy, they can easily support 300lbs. Aluminum construction also means you'll never have to worry about rust issues. 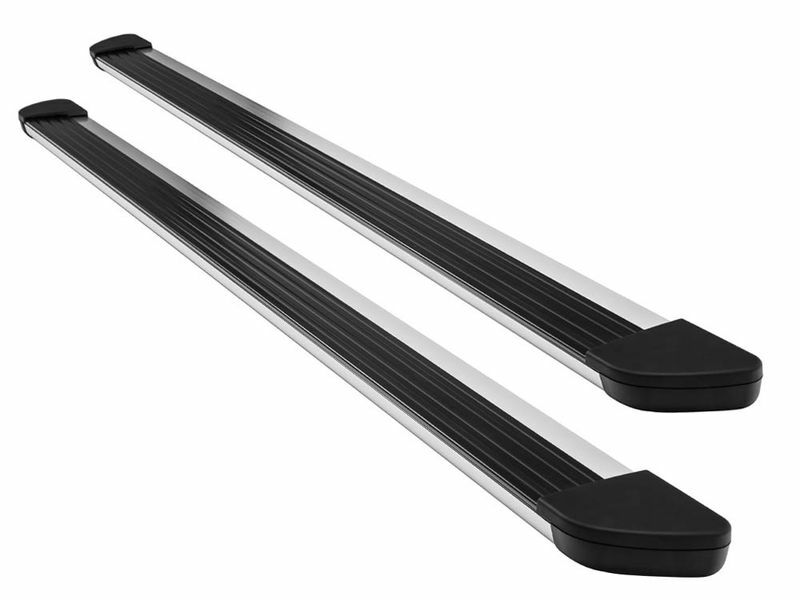 Ionic understands that safety is a primary reason for adding a set of running boards to any vehicle. That's why they top off the Gladiator boards with a full length rubber step pad to ensure you & your passengers have sure footing entering or exiting, no matter what kind of weather Mother Nature is throwing your way. Ionic Gladiator running boards come with brackets custom designed for your truck or SUV to keep installation as simple and easy as can be. In fact, most vehicles can just be bolted on without the need for any drilling or special tools. You should be able to get your new step boards installed in about an hour, right in the comfort of your own garage. Ionic knows you want a solid, reliable product that will look great and last as long as you own your truck. That's why every set of Ionic running boards comes with a limited lifetime warranty. Get your Gladiator running boards coming today and give your truck or SUV the added safety and luxury style it deserves!